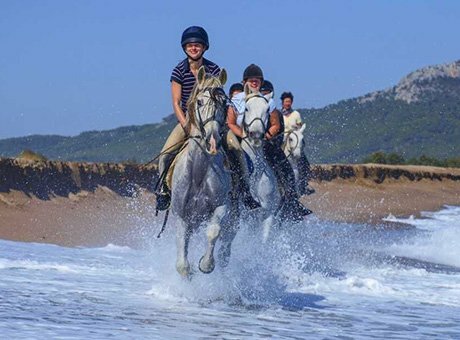 Beautiful and sunny Spain has a long and proud horseback history stretching back thousands of years, and with a love of horses still so widespread there today, it’s a perfect choice of destination for either a short break or a longer holiday. 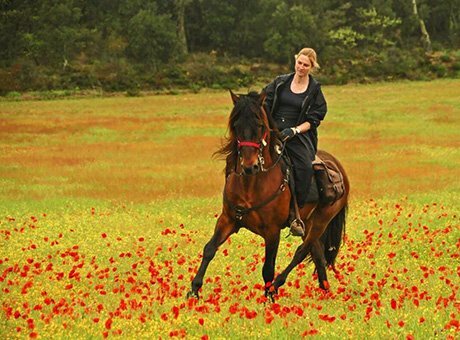 We are proud to offer a variety of excellent horse riding holidays in Spain through our work with excellent partners throughout the country, who offer you a real taste of Iberian life and culture as well as memorable experiences on horseback. 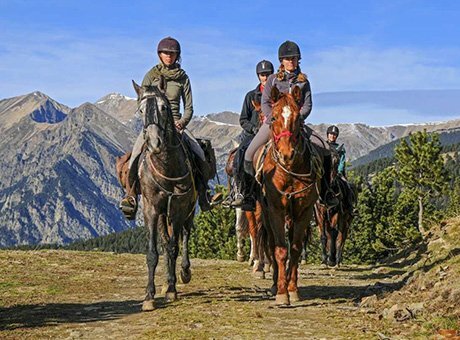 Our horse riding holidays in Spain include scenic and epic treks through such beautiful countryside as the medieval villages of Catalonia in the north, all the way down to the Sierra Nevada mountains, south of Granada, from where you can see North Africa on the horizon. 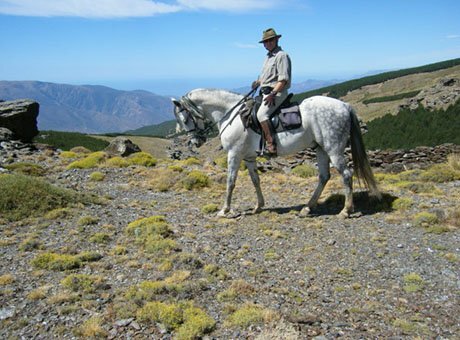 Other destinations for trekking horse riding holidays in Spain include the Sierra Tejeda National Park near Malaga and the Gredos Mountains, west of Madrid. 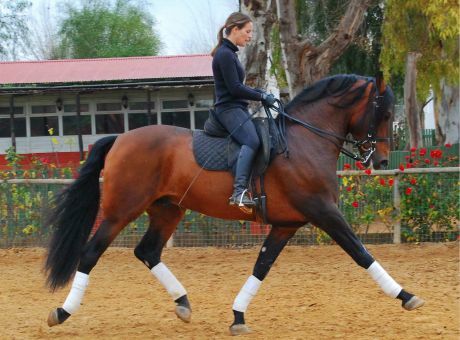 If you’re looking for something else as the highlight of your horse riding holiday in Spain, we also offer a choice of two dressage tuition centres – including one where you can learn from Olympic silver medallist, Rafael Soto – and another holiday where you can play polo with your hosts and fellow guests. A horse riding holiday in Spain is the perfect choice for many people as this beautiful and easy-to-access country offers week-long and weekend breaks galore, offering you the chance to ride gorgeous Andalusian horses that are descended from the ones used by the Conquistadores in centuries past as Spain commanded vast swathes of territory in the ‘New World’. 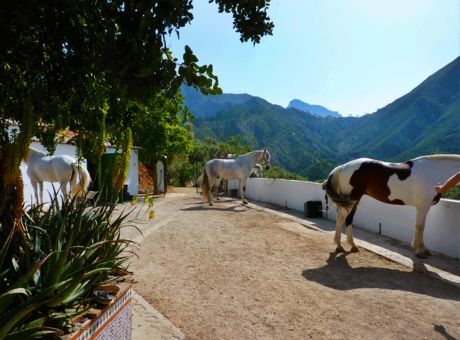 Remember you’ll also get to experience brilliant sunshine during a horse riding holiday in Spain, along with sangria, paella, local wines, and all the other treats you associate with this great country! 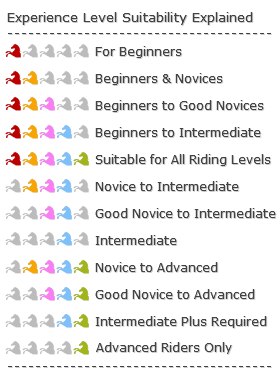 Zara and I can tell you anything you need to know about our horse riding holidays in Spain, as we have vetted them all ourselves and are in regular contact with our partners there. Our expert advice and second-to-none customer service sets us apart from the rest if you are considering a horse riding holiday in Spain, so please browse our selection and then use the ‘Contact Us’ or ‘Check Availability’ forms to get in touch. 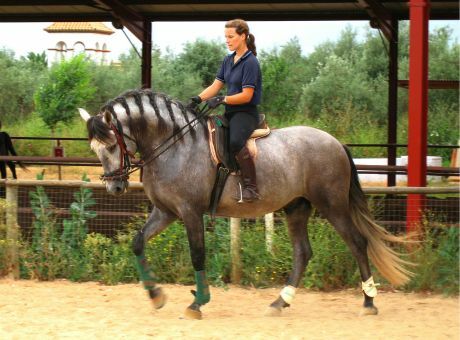 We’ll soon get back to you with all you need to know, and we’ll begin to make your plans for a horse riding holiday in Spain become a reality. 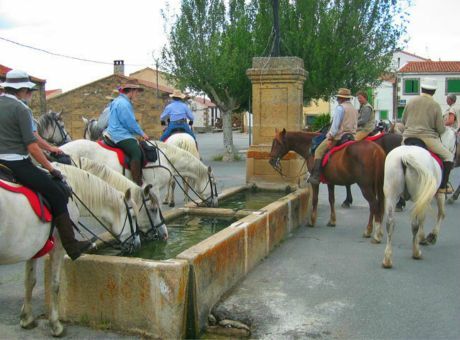 And remember our price promise too – if you find any of our horse riding in Spain holidays on offer through another operator at a cheaper price, then we will refund the difference!